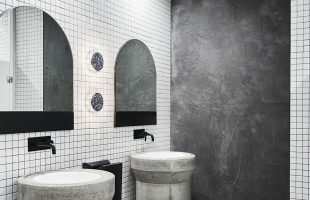 According to research by Caltex, 70% of Australians believe it is important for a service station to have a bathroom, but 60% will avoid using it if they can help it. The research has been released as Caltex opens its new The Foodary in Derrimut, Victoria. 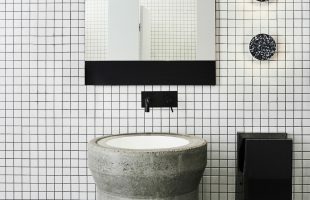 Featuring bathrooms designed by Alisa and Lysandra from Channel 9’s The Block along with free wifi, fresh food and barista-made coffee, the new store will challenge views of the traditional Australian ‘servo’. “Our new Derrimut store features arguably Australia’s best service station toilets and a food and coffee offer that will challenge long-held views of the Aussie ‘servo’,” said Helen Moore, Caltex’s General Manager of Convenience Development. “Over half of Australians believe service stations have forgotten about service and we have been listening. 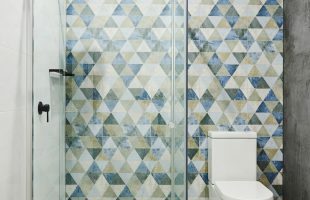 It’s why we’ve rolled out a number of new store formats in recent years and taken a leap with this particular store by enlisting the talents of Alisa and Lysandra to design bathroom and shower facilities that will change customer perceptions of what to expect when they visit a service station,” Helen said. 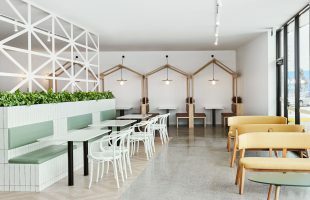 At The Foodary in Derrimut, you can settle in to refresh and enjoy free wifi in a new diner-style kitchen serving made-to-order meals. 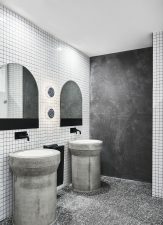 Customers also have access to Australia’s best service station bathroom and shower facilities designed by Alisa and Lysandra, best known for their bathroom designs when winning Channel 9’s The Block in 2013. 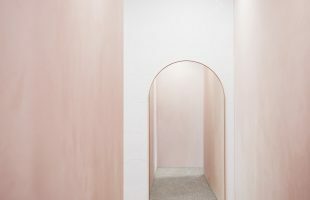 Lysandra Fraser from Alisa and Lysandra Design said the design and feel of the new store draws on elements common in household kitchen and bathroom interiors. 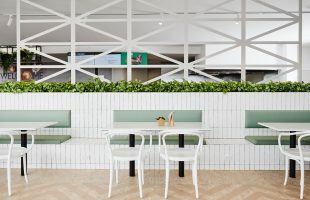 “With this project we have used modern design features such as forest greenery to create a fresh and inviting feel aimed at encouraging customers to take the time to relax and enjoy all that The Foodary offers. 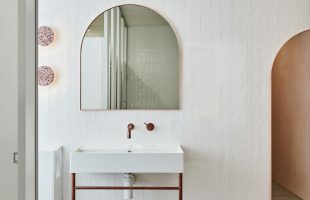 The bathrooms and showers are the centrepiece, bringing Scandinavian interior design elements that are very different to what you would expect at a service station. 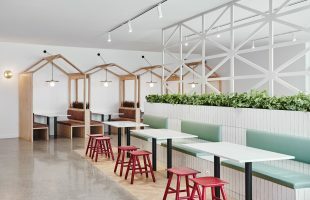 “We are proud to have worked with Caltex on this project – the new store shows how interior design can be used to improve the customer experience,” Lysandra said. 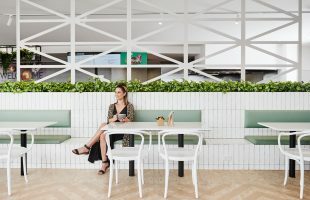 The new store reflects the changing nature of Australian service stations which are shifting to better meet the needs of consumers seeking better services and more convenience when filling up. 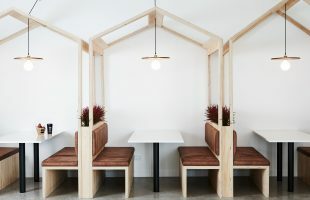 “It’s not just about being able to refuel, but providing the convenience of fresh food, high quality barista-made coffee as well as other services. 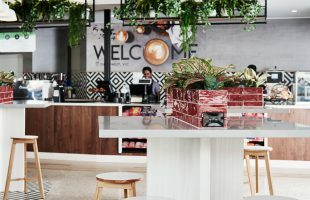 We are also integrating technology to improve the customer experience, with our customers able to pre-order through a smartphone app and pick up coffee and fresh food without waiting,” Helen said. 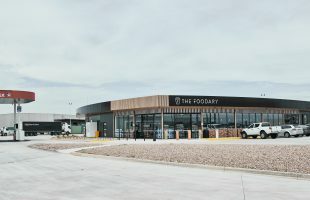 The Foodary in Derrimut is the second project Caltex has worked with Alisa and Lysandra Design on, following the successful launch of The Foodary at Altona North earlier this year. Nice looking store, such a pity that the coffee tastes like swamp water.